Damask Jacquard Skirt Chair Covers Weddings Free Shipping over $150 - US 48 Contiguous States! 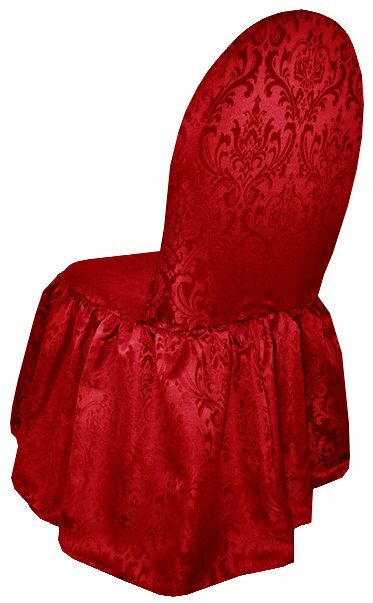 Wholesale jacquard damask banquet skirt chair covers, our damask skirt chair covers are made from a high quality Heavy duty jacquard polyester material, our wedding damask skirt chair covers are perfect for your Wedding, parties, celebrations or any special event. Size: Top to Bottom: 38"